Watch Nashville’s Charles Esten (Deacon) Kick Off the 2017 CMT Music Awards! Nashville’s own Charles Esten kicks off the 2017 CMT Music Awards with a bit of comedy to get the party going. Take a peek here and tune back in later for a full list of tonight’s big winners! Voting Still Open for CMT Music Video of the Year! It’s not too late to say you care… about who wins Video of the Year at the 2017 CMT Music Awards! Take a gander at our nominees below, then click on over to CMT.com to cast your vote! Carrie Underwood – “Church Bells” Artists of Then, Now & Forever – “Forever Country Cole Swindell – “Middle of a Memory” Florida Georgia Line – “H.O.L.Y.” Keith Urban – “Blue Ain’t Your Color” Luke Bryan – “Huntin, Fishin, and Lovin Every Day” Miranda Lambert – “Vice” With just a few hours until show time, CMT today revealed the finalists for the highly-coveted ‘Video of the Year’ award at the “2017 CMT Music Awards,” the loudest night in country music. Fan votes narrowed the pack down to Carrie Underwood, Cole Swindell, Florida Georgia Line, Keith Urban, Luke Bryan, Miranda Lambert and the CMA- produced 50th anniversary video, “Artists of Then, Now & Forever.” If Underwood wins she will maintain her record of most “Video of the Year” wins, with seven won. Finalists were announced this morning on the Today Show with Hoda Kotb and Kathie Lee Gifford, which aired lived from Nashville. Voting is now open at CMT.com for these seven finalists and voting will continue through the live show. 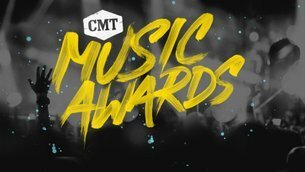 CMT, Mountain Dew and Meerkat are teaming up with Florida Georgia Line for an award show first and providing fans multiple entry points into country music’s loudest night. 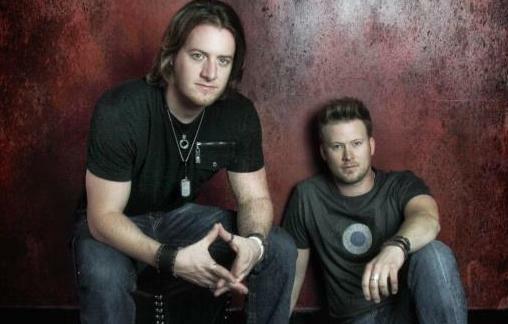 During Florida Georgia Line’s highly anticipated performance of “Anything Goes” at the 2015 “CMT Music Awards” on June 10 – for the first time in award show history – Meerkat will live stream the entire performance literally from the front row. Meerkat users will be able to watch the performance live (and later on-demand) in a custom designed Mountain Dew skinned player. This marks the latest in a larger partnership between Mountain Dew and Florida Georgia Line. 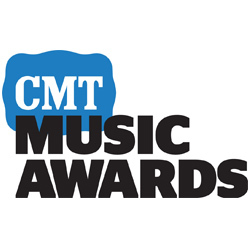 The live awards telecast is CMT’s most-watched night of the year. This activation leverages the reach of all three brands and undeniably one of country music’s biggest acts to engage fans in an innovative social co-viewing experience. The live stream will live within the Meerkat app that will be distributed via CMT’s Twitter and Facebook page and then shared from Mtn Dew’s so both CMT & Dew handles will be broadcasting access to the stream on Meerkat. For those who missed the stream live on Meerkat, Mtn Dew & CMT will be allowing people to see this front row view again and relive the experience via a video link of the performance for 1 week after the awards, thanks to Mountain Dew. The video will be distributed via Mtn Dew’s social handle and promoted from CMT’s social handles post show. Rascal Flatts and Hayden Panettiere Host 2012 CMT Artists of the Year Country favorite Rascal Flatts and Nashville star Hayden Panettiere take the stage to host the 3rd annual CMT Artists of the Year Awards on December 8th. This 90-minute special features performances and special appearances from the country artists we loved the most during 2012. Hayden isn’t just an actress on a TV show; she sings on the show and she’s good! She is excited to be a host this year, and we’re hoping she’ll sing a song or two. “Nashville is my second home now. I am so happy to be embraced by the country community and to be included in such a big event, especially with Rascal Flatts. I can’t wait to see how the evening unfolds!” -Hayden Panettiere We know the hosts, but we’ll have to wait until December 8th for the list of honorees. CMT has decided to keep the list a secret this year, so we’ll have to tune in to see who is part of the show! This Is The Highlights From The 2012 CMT Music Awards According To HaleighT! Last night was the 2012 CMT Music Awards. The party was rocking and everyone was ready to celebrate! Many people were awarded including Carrie Underwood who took home two buckles and Jason Aldean who won his very first ever buckle (how is that just happening?). The show went smoothly and there isn’t anything that I could complain about. I am however, finding it very hard to put my finger on one thing that stood out enough to be my favorite. I was beyond happy when Matthew McConaughey showed his face during the opening video, but was shocked that President Obama and Governor Romney also made a cameo. Luke Bryan was a winner and a giver last night. During his performance of “Drunk On You” he gave away his guitar to fan in the audience and when accepting his buckle for Male Video of the Year he shucked some camouflage undies and tossed them to the audience (an act that almost created a cat fight!). The Zac Brown Band performed their brand-new single, “The Wind,” from their upcoming album Uncaged. It was a brilliant performance, they are a talented group of men! The Pistol Annies got there first ever performance on the CMT Music Awards stage out of the way with “Takin’ Pills.” Miranda Lambert, one part of their all girl trio took home the buckle for Female Video of the Year to top off the girls exciting night. Two of the most anticipated performances of the night were Hank Williams Jr. and Brad (Bradcephus) Paisley with “I’m Gonna Get Drunk And Play Hank Williams” and Willie Nelson, Darius Rucker, Toby Keith, Jamey Johnson and Zac Brown with “Roll Me Up And Smoke Me When I Die.” Little Big Town got the crowd ready to hit the lake with “Pontoon” and before getting the biggest buckle of all, Video of the Year, presented to her by the one-and-only Alan Jackson, Carrie Underwood rocked “Good Girl!” All in all the show was a complete success! Congratulations to all the winners of the night and also to the nominees! To get the full list of those winners click HERE.